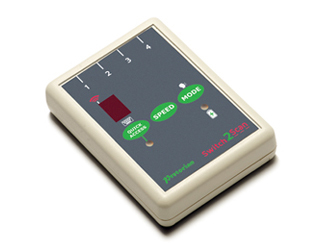 Switch2Scan is an iOS Voiceover access device and as such is intended for users with visual impairments. It affords the user full scanning access using Voiceover. Although iOS Switch Control has largely overtaken Voiceover as a scanning switch access technique, the visually impaired can still benefit from using Voiceover and it is for these users that Switch2Scan is intended. Another specific area where Switch2Scan excels is page turning in iBooks. The unit may be configured to achieve true single-click page turning- both page forward and page back- something which is not possible using Switch Control. In fact this is one of the main reasons that users purchase Switch2Scan.es either the Voiceover feature available in all releases of iOS or the Switch Control feature, available in iOS11. 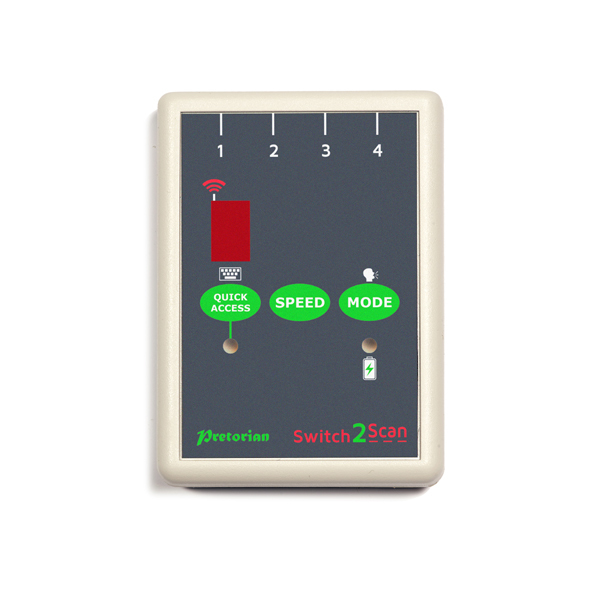 Whichever you choose, Switch2Scan makes scanning the user interface simple. Press the QuickAccess button and the switches are automatically changed to space, enter, ~1 and ~3 without affecting the switch settings, allowing you quick and easy access to switch adapted apps and iOS Switch Control, should it be required. One more press of QuickAccess and you’re back where you were. If the user is neither visually impaired nor requires one-click access to iBooks page turning, APPlicator or iSwitch may be a better choice of product. Please consult with Pretorian or your local Pretorian reseller before purchasing. Manual and automatic scanning modes, with Four Scanning speed options. 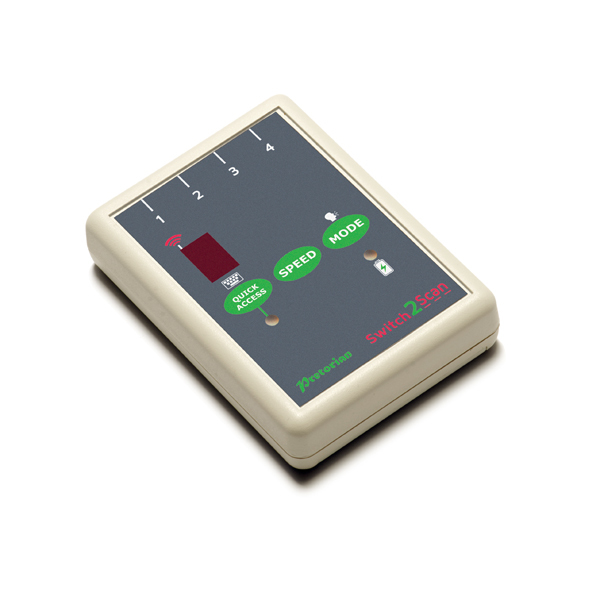 Works with iPad®, iPad® mini, iPod® (3rd generation and later) and iPhone® (iOS 5.0 onwards). 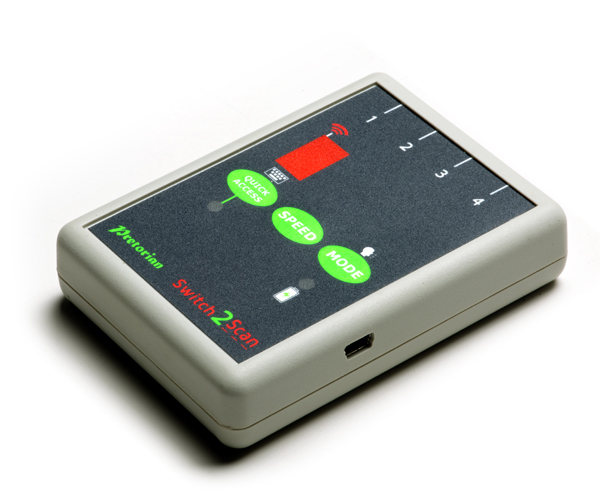 Pairs directly with iPad® through Bluetooth 2.1 without PIN number entry, and has a 20 metres (64 feet) operating range.